For the past few months i have had a major hankering for sweets like Haribo's and Maoms - fruity chewy sweets. But as much as i love them, i am also aware they're not doing much for my calorie and sugar intake as well as any effect on my teeth. 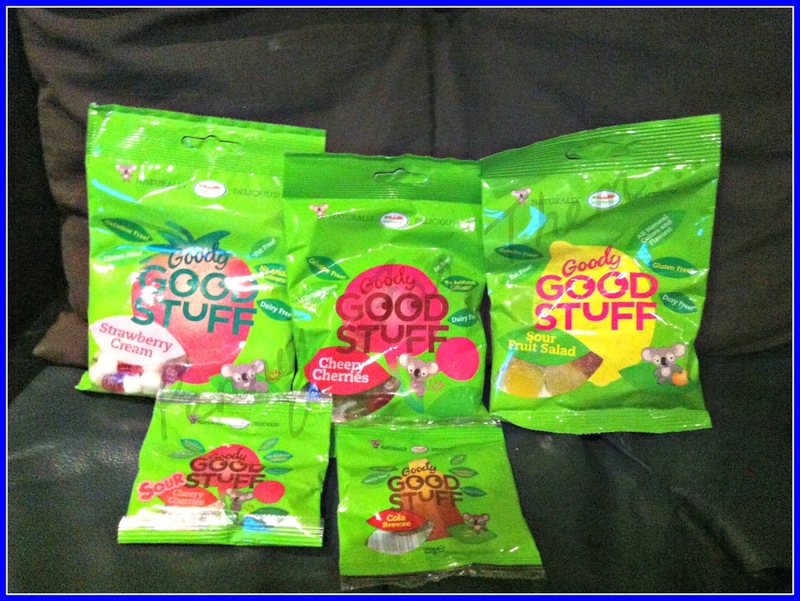 When Goody Good Stuff contacted me about their own brand of fruity sweets, how could i say no? It could be possible that my Sweet Tooth did all the emailing and discussions!! 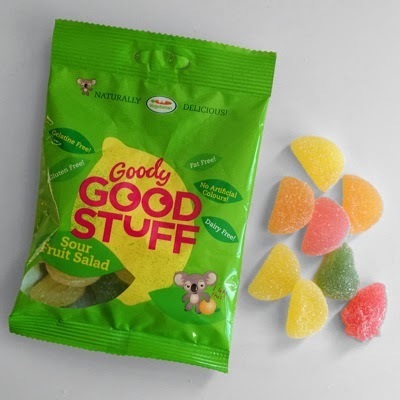 So, OK, what makes THESE fruity sweets different to the other fruity sweets on the market? 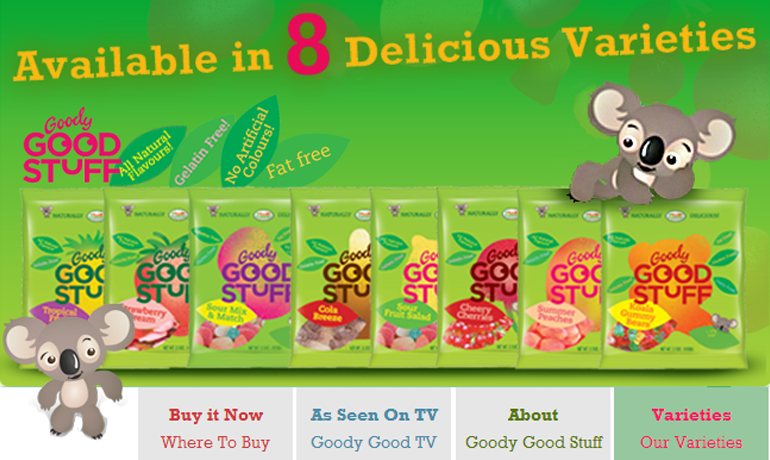 Goody Good Stuff is completely allergen free, making it the first of its kind on the market. 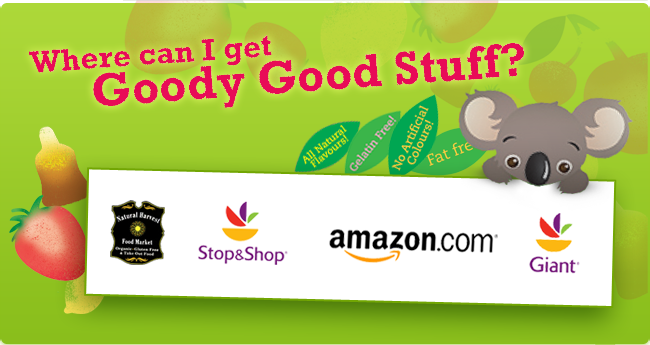 The product is perfect for retailers specialising in Halal, Kosher, Vegetarian, Vegan or healthy eating diets, as well as retailers wishing to stock fun and family friendly confectionery. OK, heres where my plan fails. Initially i wanted to photograph what they looked like, but in my haste to try them...i kinda....ate them all before i could grab a picture (apart from the strawberries Cream and the cherry Cherries!) (sorry!! 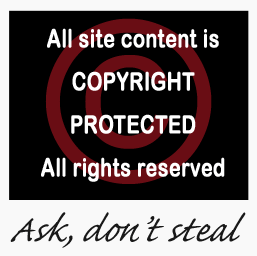 ), so ill be using staple pictures from the Goody Good Stuff website for the ones i didn't chance to photo (i do hope that's OK!!). BUT i was totally wrong! WOW - the cherry flavours were the best cherry flavoured sweeties i have tried. And that is my OWN opinion and i wished i had more to carry on nibbling! So very moreish and fruity! YUM!! Next i tried the "Strawberries Cream"....Oh...wow, again!!! These are little gummy sweets, with the red being the strawberry flavoured and the white being the cream, so put both in together and you get a gorgeous hit of fresh strawberries and cream! The Sour Cheery Cherries - still as much cherry flavour as you can pack into a sweet with that extra zingy sour sugar surrounding each one! The Sour Fruit Salad - WOW. Fresh and zingy. 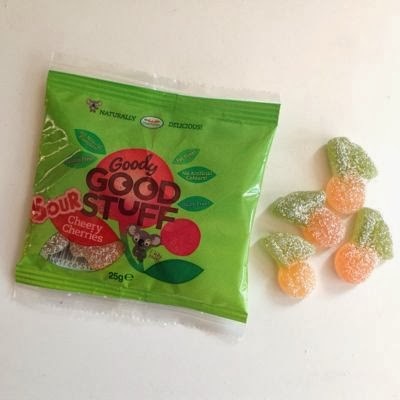 Grapefruit and other zingy sour fruit flavours were a prominent flavour, leaving your mouth feeling actually quite refreshed! 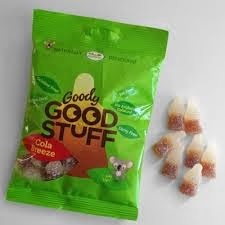 The cola bottles.....well i feel I'm repeating myself but the same goes for these - the cola flavour is just so much MORE than the generic ones you get. These are delicious! Much more fruit flavour compared to other high street brands. They were extremely moreish, and there are times after I've had a few other fruity sweets that i can feel a bit "OK, I've had enough now" but these....i swear i could have carried on nibbling on them....which is dangerous for me! My favourites had to be the cherries - either with or without the zingy sugar coating. They were so flavoursome and went too quick!! Price wise - depending where you buy it is approx £1 for a 100g bag,which is actually a pretty good price! 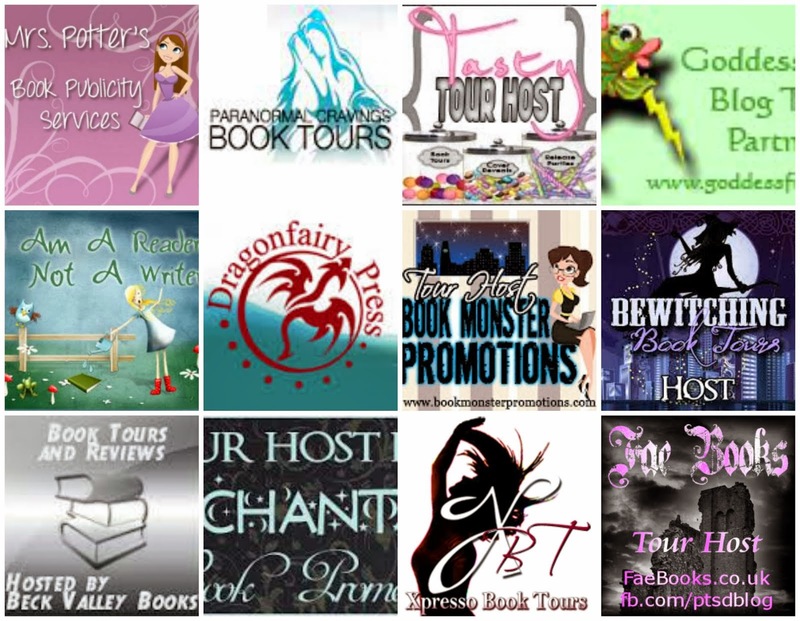 To find where to buy them there is a massive list HERE- they're not as hard to find as you think! And my final thought....oh yeah, ill be buying these again!! 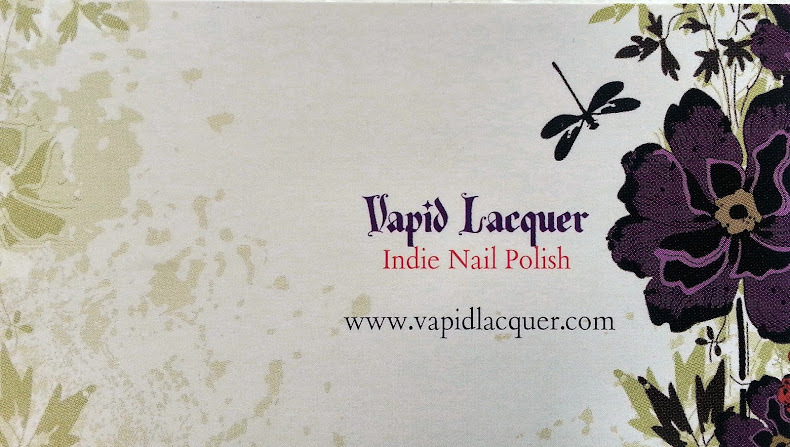 Stopping by from the beauty blogger group to say hi! The sour cherries are too cute! These look absolutely delicious! I really want to gobble down a pack right now. Great review by the way.